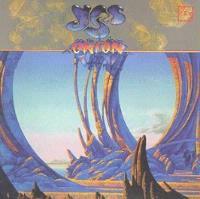 The great experiment - at the time of this album's recording there were essentially two versions of Yes out and making music. The first was the Trevor Rabin "Yes West" lineup (consisting of Rabin, Chris Squire, Alan White and Tony Kaye - Jon Anderson had left the group, but been working his way back into the fold) and Anderson, Bruford, Wakeman and Howe (the splinter group of one of the most classic lineups). Apparently the decision was made since ABWH was working on a new album, and Rabin and company were going to do the same, to merge the two projects into one. Understandably this is really not a consistent album at all. It does have some strong material (at least one of those high points coming from the Yes West camp, who only contributed four songs to the collection), but most of it is mediocre. In many ways it seems like ABWH had forgotten how to compose progressive rock that had any spirit or substance. Much of their material seems to go through the motions, yet not really grab the listener. This is an entertaining album, but certainly not one of the first holes to fill in that Yes collection. Rick Wakeman has been quoted as calling this one "Onion" because it makes you cry. I wouldn't say that it's that bad, but it definitely has a few stinkers and nothing that really is strong enough to make up for them. Much in the vein of ABWH's "Birthright", this is more or less a mood piece. It's pretty, poignant and rather cool, but doesn't really go anywhere. This one, although done by Howe and company really feels like it should been from Rabin and crew. It's a hard-edged rocker that just isn't all that interesting. This brief instrumental is a textural duo between Tony Levin and Bill Bruford. Much like 90125 and Big Generator, this one ends with a song that feels like an Anderson solo composition. This is a bit generic, but has an interesting world music/chat section at the very end.